We’re making headway through the second quarter of 2018 and we continue to do what we’re good at at KLM: pioneering. Searching for new horizons and finding solutions against the backdrop of a continually changing aviation landscape. And our efforts are paying off. The average Net Promoter Score (NPS) of 42 we’ve succeeded in achieving together so far in 2018 is two points higher than the figure for last year. We’re heading in the right direction towards achieving our average annual target of 43. I’d like to take a moment with you now to address a number of other developments that have unfolded in recent weeks. 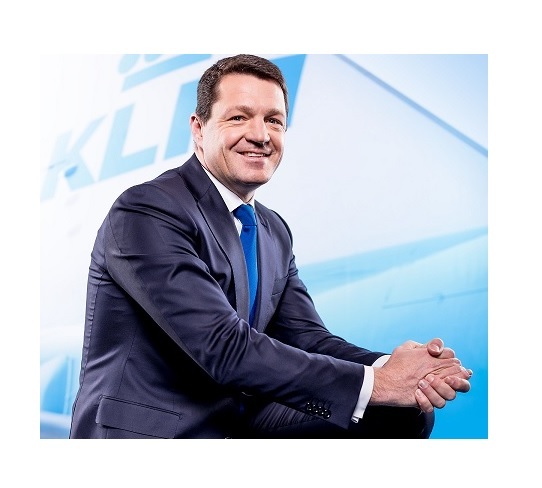 Prior to the Annual General Meeting in Paris, the Air France-KLM Board announced the interim leadership of Air-France KLM. What does this entail? The interim appointment of Anne-Marie Couderc as the new non-executive, chair of the board of Air France-KLM and establishment of a three-person management committee including myself, Franck Terner and Frederic Gagey, now offers our organisation tranquillity and stability. This is incredibly important for our customers and employees. I’d like to thank Jean-Marc Janaillac for our cooperation over the past two years and compliment him on a number of significant strategic steps he took for the Air France KLM Group. I’m also looking forward to the continuation of my collaboration with Anne-Marie Couderc. As part of the new three-person management committee, I will continue to work in the interests of the Air France KLM Group, as well as the further pursuit of our successful KLM strategy, mirroring Franck Terner’s ongoing efforts for Air France. In practice, my role within both KLM and the KLM organisation will not change. The interim appointment affords the Air France KLM Board time to work on a permanent arrangement and setup for the group. It’s important, group-wide, that we rekindle the good spirit, cohesion and stability of the early days of our cooperation. This approach has proved demonstrably successful for both Air France and KLM. Last Sunday, I participated in a Dutch talk show called “Buitenhof”. Pieter Jan Hagens interviewed me about the decision-making process concerning Schiphol and the theme of sustainability in the airline industry. I explained that as far as KLM is concerned, it’s crucial to find the right balance between climate-related and sustainability objectives on the one hand, and other social interests including employment opportunities and innovation on the other. 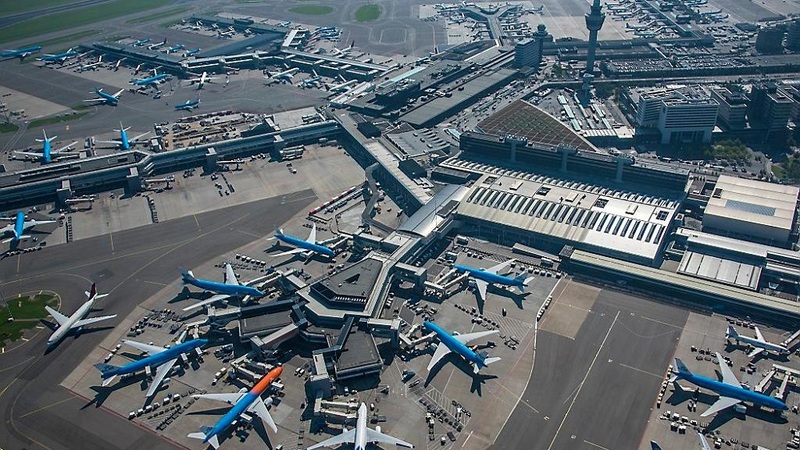 After all, the Dutch airline industry generates major technological advancements and – directly and indirectly - hundreds of thousands of jobs within and outside of the Netherlands. We spoke about the turbulent situation surrounding Air France as well. It’s understandable that journalists ask questions about this when given the opportunity. Despite the attention for Air France, I was given ample leeway to elaborate on important initiatives undertaken by KLM in relation to biofuel, CO2 compensation programmes and reducing CO2 emissions across the airline industry. Shedding light on a perfect example of a sustainability initiative in this context, we recently opened up a brand new scheduled service to Växjö in Sweden. The route is the most sustainable one across our network. For the time being, KLM Cityhopper’s Embraers will be operating six flights a week to this city in southern Sweden. In doing so, overall CO2 emissions will be compensated by our CO2ZERO programme. KLM and Växjö Småland Airport will each assume responsibility for an equal share in this respect. This marks a new step directed at making the airline industry more sustainable, while simultaneously sending a strong signal to other players in our industry. Of course, opening the route also provided cause for celebration. Parting from tradition on this occasion, an “orange carpet” was rolled out in Växjö instead of a red one. In the midst of difficulty lies opportunity. From the uncertainties of recent weeks, let’s now gather positive courage to build new horizons. We’ve taken a step forward with the formalization of the interim solution. And, together with Frédéric and Frank, we’ll be working on further steps in the three-person management committee.